Freightliner Trucks are an American manufacturing institution. In the 1930s, Consolidated Freightways started the Freightliner line to climb steep mountain grades in the western United States. The first Freightliner sold outside its parent company, is now in the Smithsonian. Through consolidations, downturns, takeovers and general market conditions, Freightliner Trucks is now owned by Daimler Trucks North America. Drivers who choose Freightliner, usually entrust themselves to the brand for their careers. Mainly because of the extensive dealer network and parts availability. 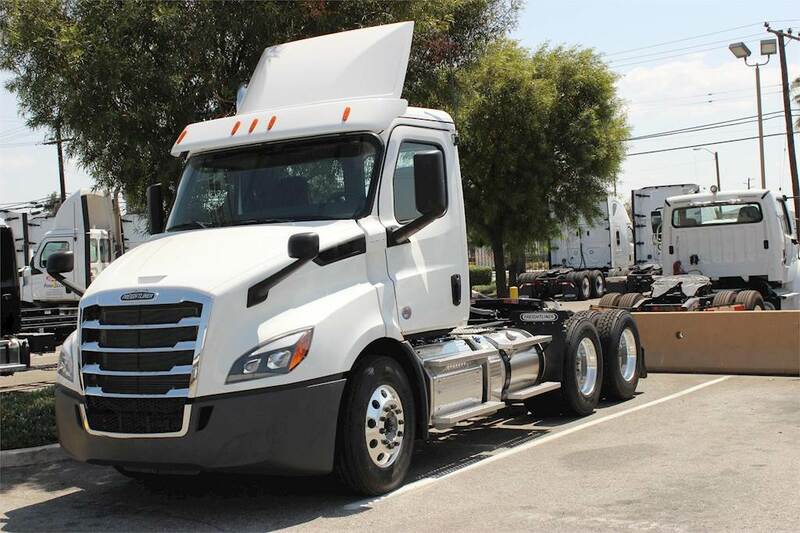 If you are searching for used freightliner trucks for sale, you must identify what your needs are before the search begins. Make certain you are buying enough truck, not too little. Saving dollars on the front-end can lose a driver money on the back-end. If a contractor saves money for less torque at purchase, you may miss out on a lucrative job because the rig requires hauling steep grades. Know the driver you are and the loads and distance you choose to contract. The engine on any commercial rig should be your first consideration. The Freightliner brand has a long-established reputation for reliability and toughness. At 700,000 miles truckers think about rebuilds. If you are buying with an engine at the 700,000 level, some drivers rebuild right away, knowing they have a reliable rig. A well-maintained commercial engine will go to one million miles. It is vital to see the engine history and maintenance before any purchase is made. If a commercial operator or dealer cannot provide documented maintenance, move on. When purchasing any vehicle, it is always a buyer beware transaction. Here are fundamental things to look for when buying a commercial rig. Ask for copies of the maintenance records. How often were the fluids changed? Who maintained the truck? This consideration is an unmistakable advantage of the Freightliner brand and their extensive dealer network. Does the engine require rebuilding now or will she go another 250,000 or 500,00 miles? What major parts need to be replaced and what will need replacing soon? Have fluid samples from the engine, transmission and rear-end been analyzed? How long ago? Research the specific engine type and any record of problems. Talk to a Freightliner service tech. Once you have settled on the rig itself, you must examine the dealer network and parts availability. The last thing you need is a rig problem, and the closest dealer is 500 miles away. Unless you trust the current owner explicitly, it is best to buy your truck from a reputable dealer with plenty of available mechanics. Some dealers have been with the Freightliner brand for decades. This type of dealer network realizes the importance of keeping their customers on the road and will go the extra mile to maintain that relationship. There are several significant reasons for buying a specific brand and staying with that brand throughout your career. 1) Establish relationships and knowing where to go to get what’s required. 2) Dealers know you and your rig. 3) The size of the company or network is not indicative of the service or support you receive. Are you purchasing a car? Looking for advice to make this an easy process? This article has the perfect information to make your next car purchase a more simple experience. Continue reading this article to learn some great hints about buying a car. There are various options on where to purchase a Freightliner. For example, many people search for what they want on platforms daily. People can go online and view ads for cars, trucks, and other vehicles that are posted up at their desired price. You can usually find more information about the vehicle, and usually there are pictures attached to get a sense of what kind of condition the vehicle is in, what needs work if there is any, as well as contact information in order to reach the owner or establishment selling the item. The internet has many other websites where you can check out freightliner trucks for sale in your area. In this instance, google is your best friend. Utilizing the internet to narrow down your search is a smart move for you, the consumer. Typing in “freightliner trucks in my area” can yield an unlimited number of websites that cater specifically to your search. Depending on what type of freightliner it is you can definitely find one to your liking for a good price. The more state-of-the-art the freightliner is the more money it is going to cost you. There are other ways to go about finding freightliners without having to rely too much on using the internet. This is for people who are not tech-savvy or are not big fans of finding things online. You can check out your local truck dealerships to see what is available to you. But it is advised to at least utilize one or more of these search engines to get the results that you want. I would go with google.com as it is the most used search engine to date and will most likely have the websites you would like to see pop up the very first time you search for it. A lot of businesses have partnered with Google so that the listings for their business shows up the first page to receive more hits and traffic that will ultimately boost their business. If you’re the type who isn’t hung up on whether the freightliner is new or used then you can also check out truck repair shops, used truck dealers and junk yards that may carry freightliners for sale. If you happen to get there, be sure to ask the owner or an employee that is working there to check their inventory and see if they have any trucks available to purchase. All of this information seems overwhelming at first, but knowing your options is an important part of finding the best deals.